Objective: Songwriting by “committee.” Participants focus on their ideas, instead of studio technology. Engage participants who “want to write a song” but don’t quite know how. 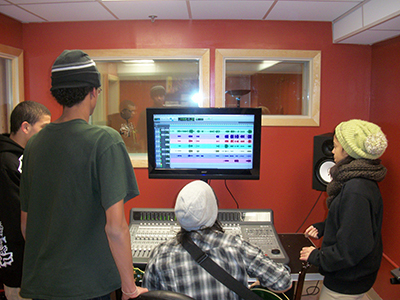 Participants take on the role of “commanders” during music production. Participants express their musical ideas with “commands” to direct staff members. Staff members implement the technical requirements to make it happen.